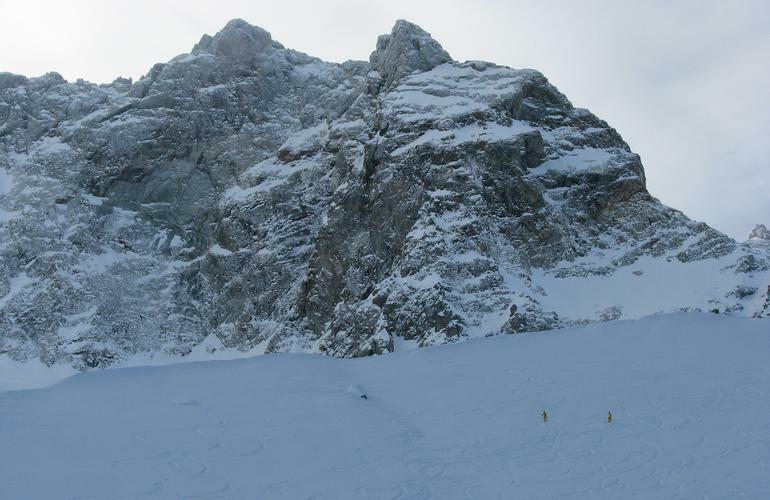 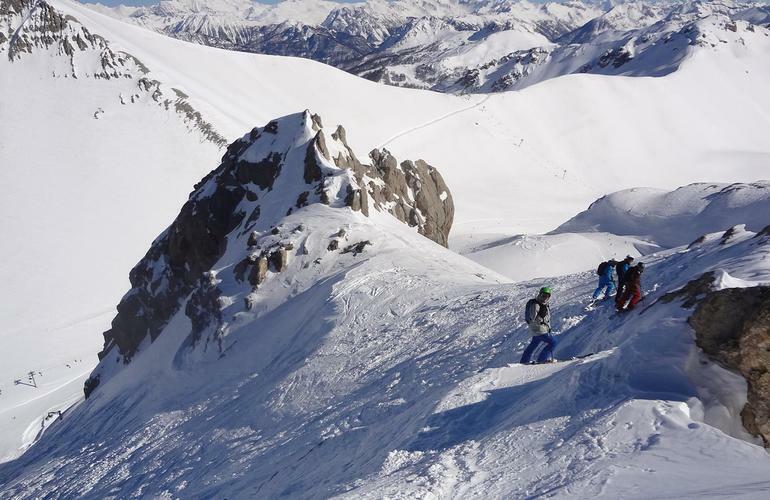 Go with a professional guide to discover the best backdrops of the ski area of ​​Serre Chevalier! 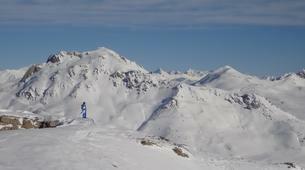 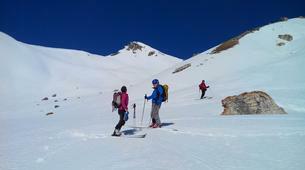 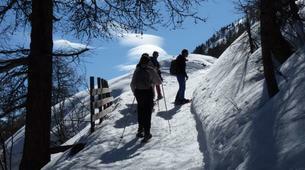 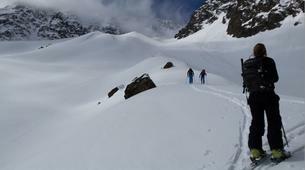 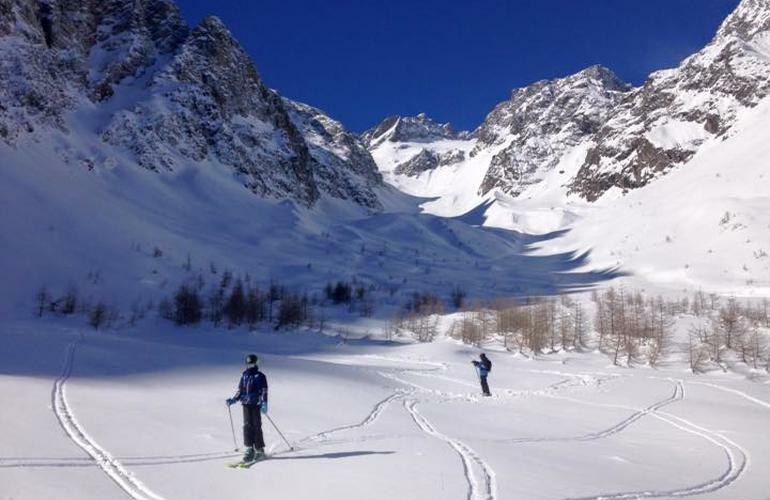 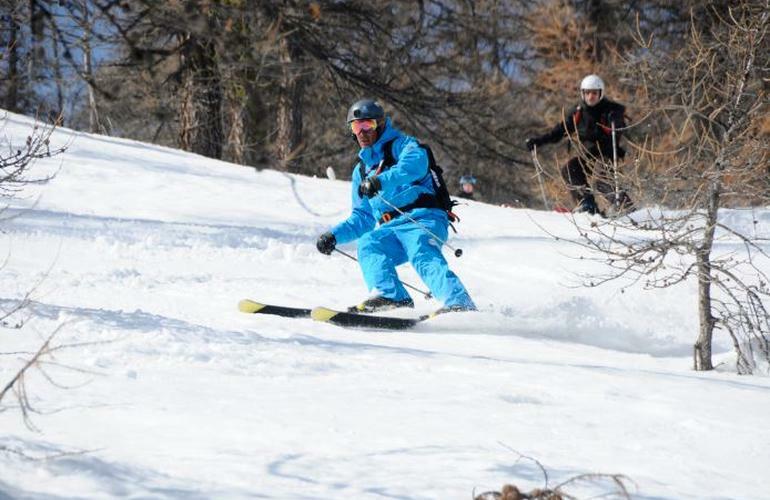 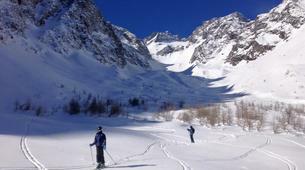 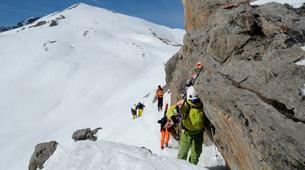 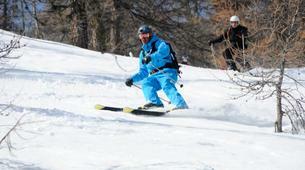 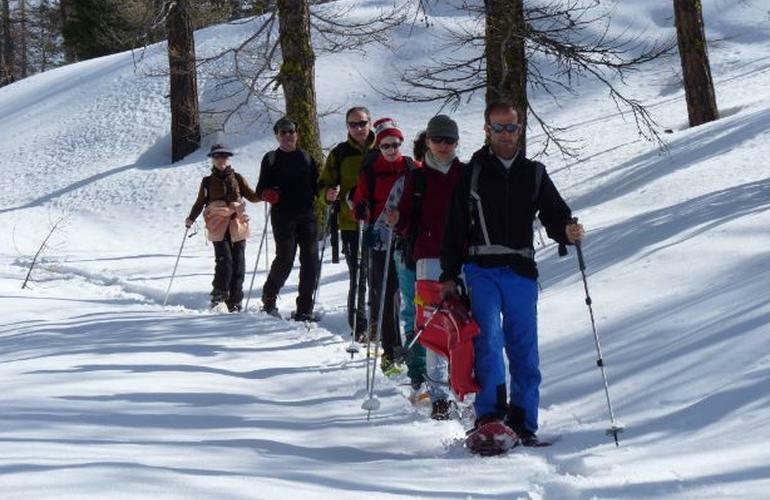 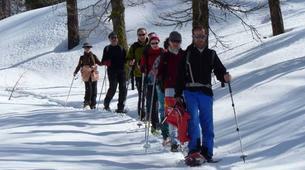 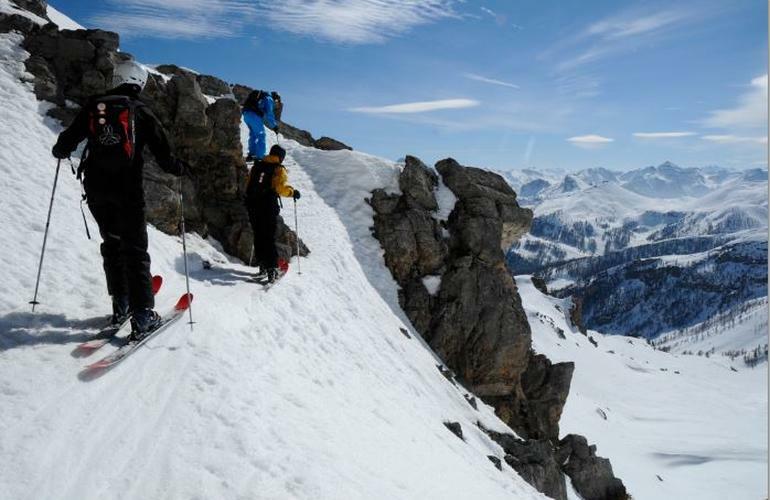 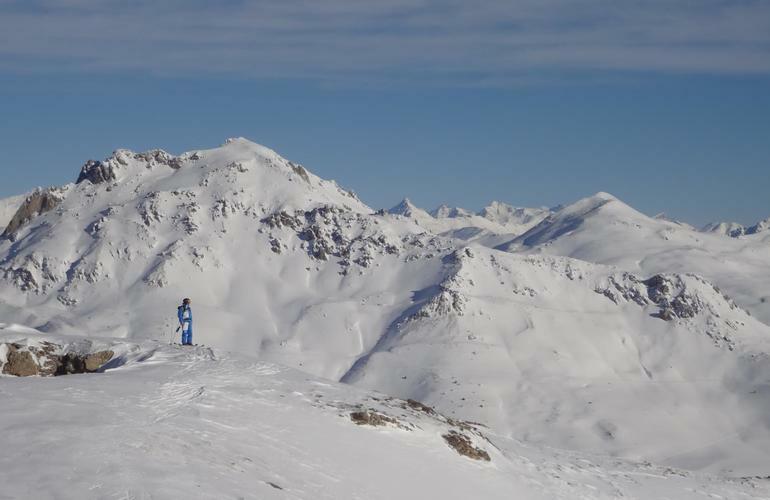 The area of ​​Serre Chevalier is undoubtedly one of the richest in off-piste itineraries that can be found in the Alps. 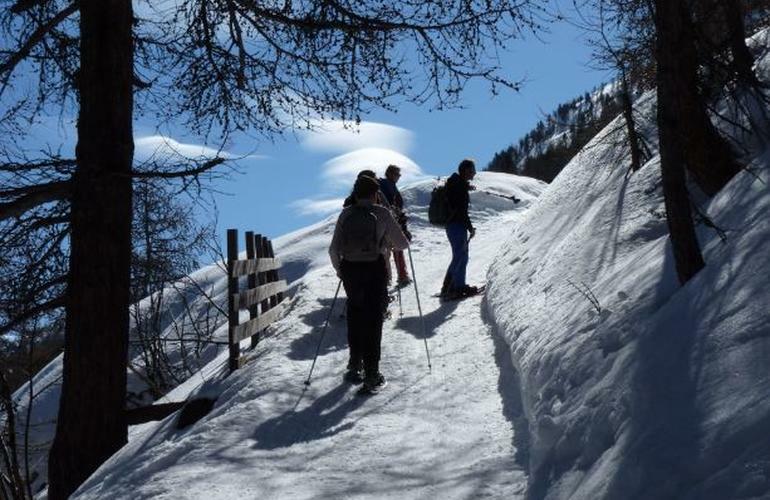 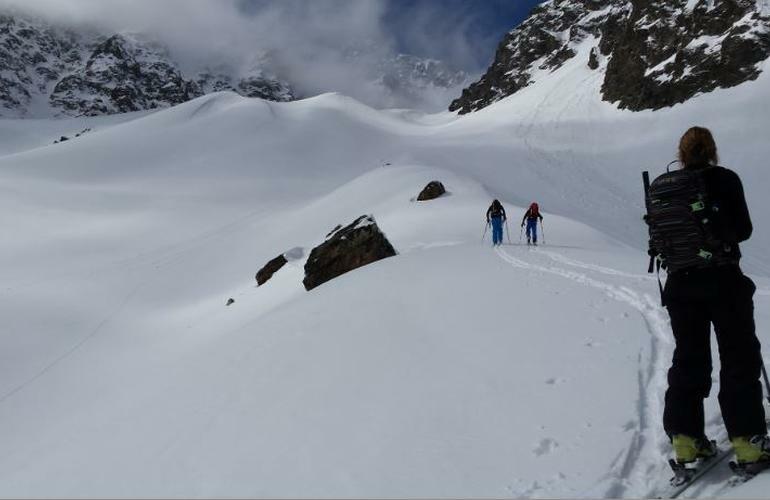 You're lucky, Monetier les Bains brings together a maximum of possibilities whether you are skiing or snowboarding, a beginner or ski touring confirmed! 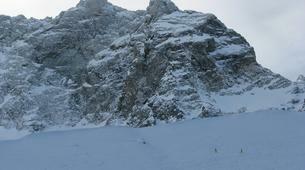 The ESI Monetier is right under this magnificent playground! 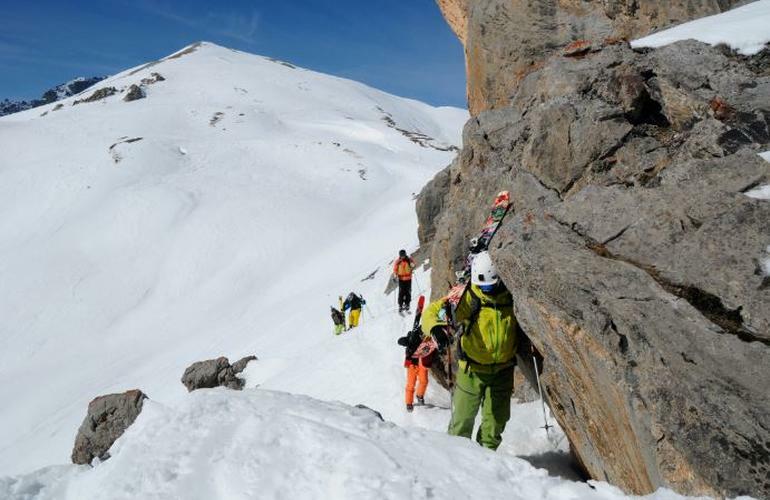 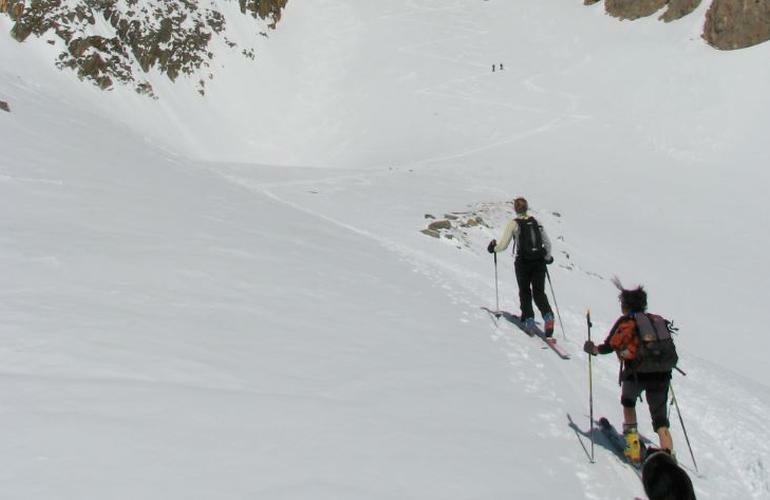 It would be a shame to miss out on such a great opportunity to learn more about the mountains and skiing or snowboarding techniques in fresh snow. 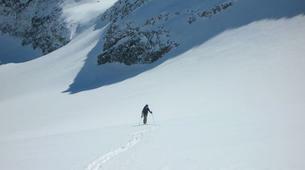 Alone, with family or friends (max 6 pers. 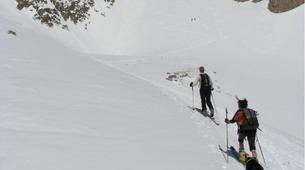 ), your guide is there for you and will adapt the half day to your goals and your desires. 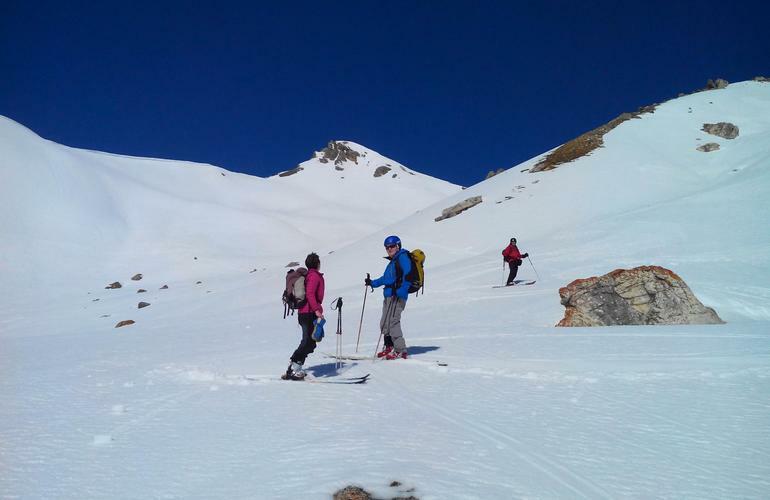 3 to 4 hours of ski touring or snowhoeing + snowboarding with a professional instructor dedicated to teaching you riding techniques. 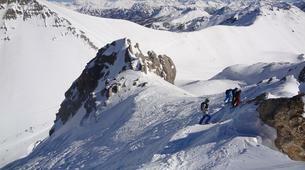 He will help you find the best itineraries. 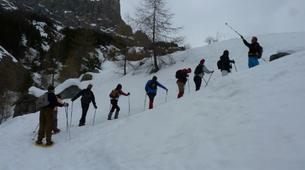 6 participants max per instructor, minimum of 3 participants. 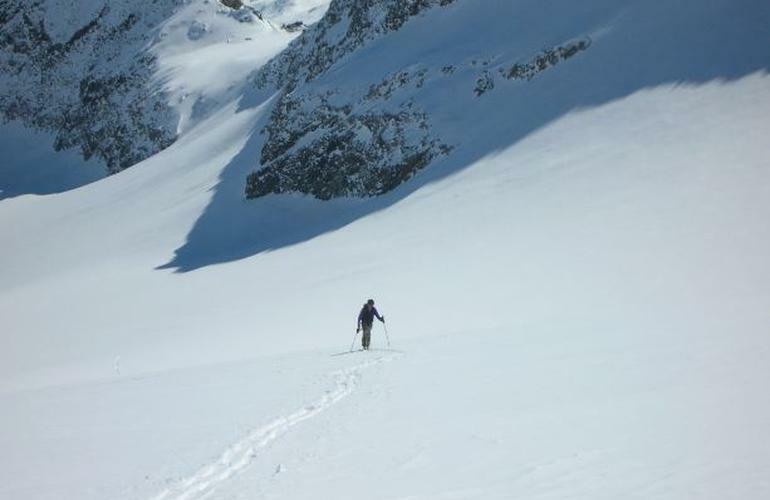 This activity is not available during holidays. 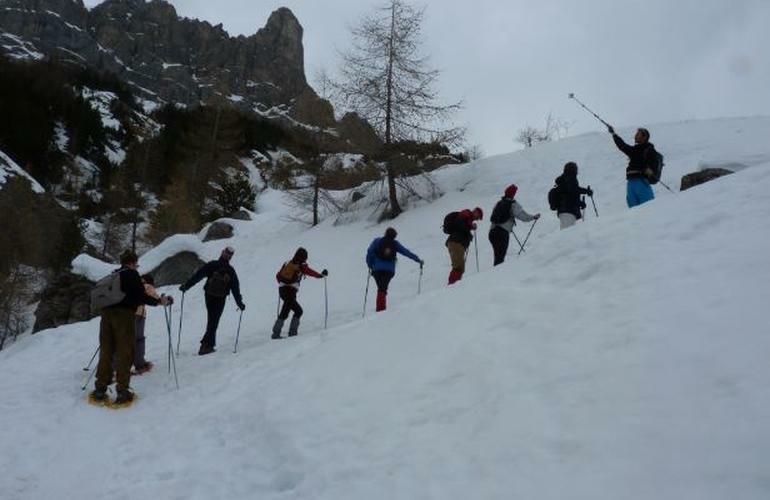 The itinerary will be defined depending on your level, your expectations and the weather conditions.